As we have written before on this blog, mankind has been trying to resolve the mysteries of its own existence for thousands of years. We have been continuously looking for the guiding intelligence or divine force or the ruling conscience that drives this universe. We are desperate to know whether our life has a meaning or is it just a stage and our fate is already written. Being the most egotistical race on this planet, our imagination always comes back to a human-centric universe ruled by a benevolent God. But even after the cumulative efforts of each and every civilization that breathed upon this earth, this subject can best be described as enigmatic. We still have the same questions: Where did it all start and where will it end? 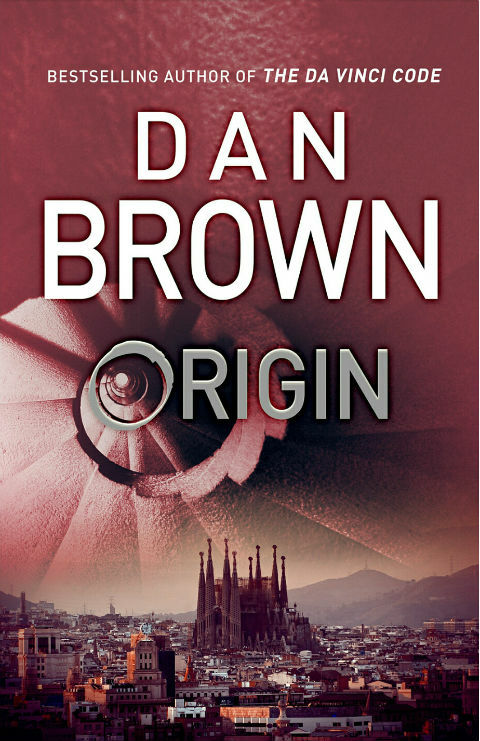 This is the central thought that has supplied the Dan Brown fans with Robert Langdon‘s latest adventure called Origin, and the book lives up to most of the expectations. The tale is set up in Spain this time with lots of modern architecture masterpieces around, casting a visionary friend of Langdon named Edmond Kirsch as the protagonist, and a beautiful “partner-in-crime” for Langdon called Ambra Vidal. 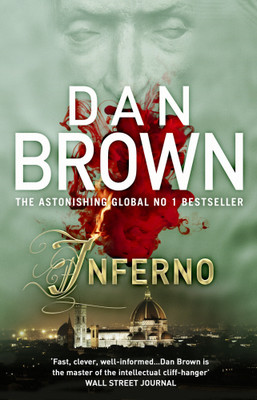 The storyline also follows the religion vs science debate which has been a recurring theme of Robert Langdon’s quests in the previous books including Angels & Demons, The Lost Symbol and to some extent Inferno. The story starts with a classic encounter between the protagonist Edmond Kirsch and the powerful representatives of three religions – Bishop Antonio Valdespino, Rabbi Yehuda Koves and Allamah Syed al-Fadl. Edmond Kirsch is a futurist, a genius attempting to take artificial intelligence to the next level, a lover of modern art and a self-proclaimed and very vocal Atheist. He also happens to be very, very rich and influential amongst the younger generation who is identifying more and more with being agnostics or atheists rather than belonging to any of the ancient religions. So when he requests an audience with the religious leaders, they are surprised. But what he shows them during this meeting is even more shocking. In his own words, Edmond Kirsch is sitting on a bombshell and the implications of his going public can be disastrous for all faiths of the world. Edmond Kirsch agrees to give the religious leaders time to think about how they are going to deal with the aftermath of his scientific discoveries. While the three leaders are still trying to figure out a forward path, Edmond Kirsch organizes a big media event inviting the most notable names in science and academia from the world, where he is going to release his findings. Dan Brown’s descriptions of the Guggenheim Museum, the party, the guests, and of course the assassin who gets in there, are all to be enjoyed in the book. The most notable thing, however, is that every guest is given a headset upon their arrival. This headset connects them to – an artificial intelligence – a computer – that can impersonate a male/female role and converse with the guests while giving them a personal tour of the Guggenheim museum. In Robert Langdon’s case, the computer guide calls itself Winston. Langdon also comes Across exotically beautiful Ambra Vidal here, the director of Guggenheim museum, who has lately been engaged to marry Prince Julian, Spain’s heir to the throne. But before Edmond Kirsch can take this further to the rapidly increasing popularity of nihilism in modern times and expand on the work he has accomplished in last few years, he is killed by retired Navy Admiral Luis Avila, who has been appointed by a mysterious villain named the Regent. And the chase starts. Is Edmond’s presentation lost forever? Actually no, it’s stored on a secret server only Edmond Kirsch could access and all Langdon would need is a password. But there are a few minor problems with that. Firstly, the only clue Langdon has is that it’s a line of poetry that has something to do with the destiny of science and is 42 characters long. Secondly, it appears that the assassin was entered on the guest list at the last minute by Ambra Vidal who had been asked to do that by none other than Prince Julian. So who is the regent? Is the traditional Catholic kingdom of Spain trying to stop Kirsch? Bishop Valdespino is known to have a remarkable influence on the ailing king and young prince. Is he the regent orchestrating this? Meanwhile, the Allamah and the Rabbi have been killed, but on whose orders? The conspiracy sites on the internet are exploding with wild theories and suddenly people across the entire globe are tuning in to follow the Edmond Kirsch story. In all this confusion, the only ally Langdon has is Winston. But he/it has the advantage of being a non-emotional, powerful computer, so it comes as no surprise that he/it gets Ambra and Langdon out of the museum and on a plane to Barcelona, where Edmond Kirsch lived. From here, the story unfolds in a typical Dan Brown fashion with lots of artistic pieces, unknown facts about British statesman Winston Churchill who also happened to be a poet, references to works of well-known agnostics including Frederic Nietzsche and William Blake until Langdon and Ambra finds the password while being chased by Spain’s Royal Guards, Barcelona police and Admiral Luis Avila. There is a fair bit of action and thrill until Langdon and Ambra arrive at Edmond Kirsch’s futuristic computer lab (located inside a chapel of all places) and manages to release the presentation that caused all the trouble to start with. But is the chase over yet? Were Edmond Kirsch’s findings worth his life? Who is the main villain in all this? As usual, the build-up is more thrilling than the ultimate revelations, but that’s also only to be expected. Dan Brown puts a fair amount of research and an effort into explaining things, and that’s what makes his books so readable. The central thought is always a fundamentally controversial and riveting idea and he tries to capture it into a thrilling tale. Origin is also quite enjoyable. This time around though, there are not many symbols for Langdon to interpret and elaborate. This book is simpler in structure and the storylines of supporting characters are very small threads that wander and die quickly. Dan Brown also tries to include some facts about Hinduism and Buddhism in the religious paras but not very successfully. There is also a minor character in the book that has Indian heritage. A marketing attempt? Or a recognition of the fact of the widespread presence of Indians in the technical world? Either way, he is not a caricature and that’s refreshing. The meek were supposed to inherit the earth, but instead, it has gone to the young – the technically inclined, those who stare into video screens rather than into their own souls. I believe that in some cases forgiveness can be dangerous. When we forgive evil in the world, we are giving evil permission to grow and spread. When we respond to an act of war with an act of mercy, we are encouraging our enemies to commit further acts of violence. Nihilism is an awareness that life has no meaning, no higher purpose, and offered no direct evidence of the existence of God. Winston Churchill, the celebrated British statesman who, in addition to being a military hero, historian, orator and Nobel prize winning author, was an artist of remarkable talent. Where did we come from and where are we going? – Maybe we’ll never know but being humans we can continue what we have done for centuries. We can keep trying to find the answers in the two most popular ways, Religion and Science. Who can say where one ends and the other begins? For most of us, our faith is as much a work in progress as the combined scientific knowledge of the humankind. The book contains a number of grammatical errors that point to a lack of attention to editing. More importantly, the author completely ignores the longstanding differences between Spain and the Basques and Catalans. It’s as if the author had read a tourist guide to Spain and then spun out the story.